Picture from simon3 : Eskatarriff East from the north. Picture: Eskatarriff East from the north. Nose of rock cut down to size by its neighbours. Eskatarriff East is one of those places that looks incredibly intimidating near to. 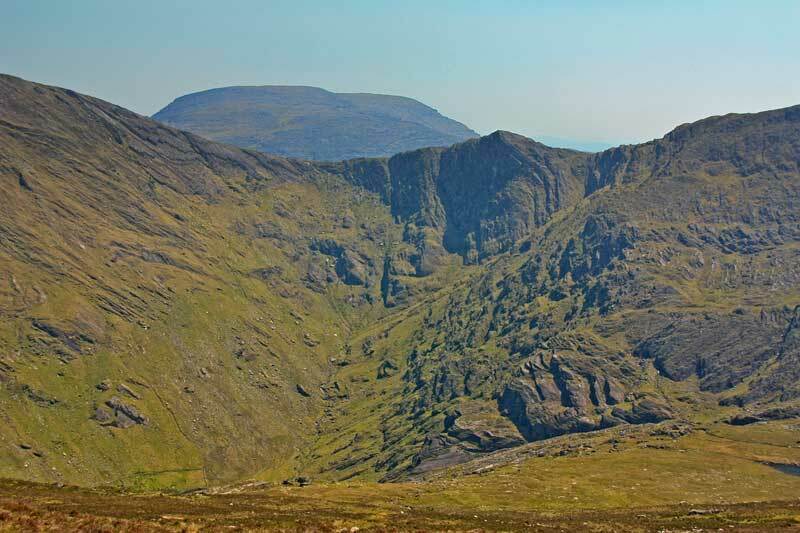 And indeed the area has had at least one accident, when on 10th October 2010 Kerry Mountain Rescue team were placed on standby after a female walker broke her ankle on the ridge just below Eskatarriff. The Team were subsequently stood down after it was confirmed that the casualty had been successfully airlifted by the Shannon Coast Guard helicopter.